Causeview's integration with iATS allows you to easily manage and update your recurring donations. This includes updating the payment information for credit cards and ACH payments, updating the recurring amount, updating the frequency and start date and cancelling a recurring gift. The ability to easily manage recurring donations within the Causeview application ensures that recurring payments occur automatically and seamlessly. Did you know that Causeview is also able to automatically send out email notifications to donors with recurring gifts whose credit card is expiring within 30 or 15 days?. When the Credit Card Expiry Notification is enabled, Causeview periodically checks all expiry dates for all active recurring donations and is able to then send a Credit Card Expiry Notification Email to the donor 30 and 15 days prior. The notification email also contains an active URL to a form that allows the donor to update their credit card information on their own. Where Can I Find the Credit Card Expiry Notification Email Templates? How Do I Enable the Credit Card Expiry Notifications? In Setup, on the left side of the page you will find a section called "Administration Setup" (in some instances this is labelled as "Administer"). 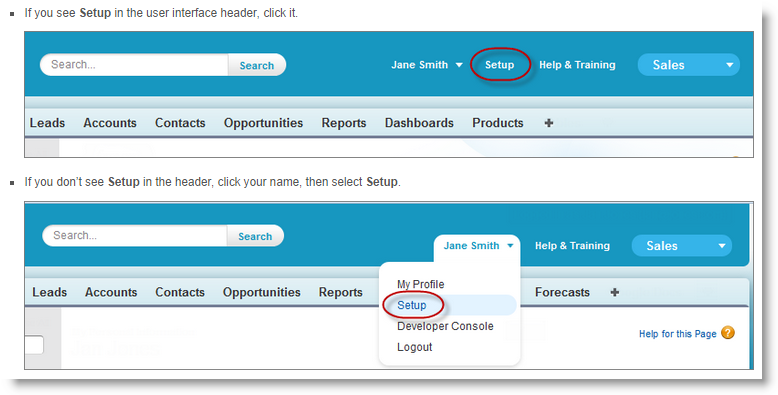 Under Administration Setup, expand the "Communication Templates" menu and click on "Email Templates". In the list of email templates you will see the templates called "Credit Card Expiry - 30 Day Notification" and "Credit Card Expiry - 15 Day Notification". These are the email templates that Causeview populates and sends to the donor 30 and 15 days prior to the credit card expiry date. You can customize these email templates on your own if you are familiar with HTML or you can submit a Help Ticket through the Causeview Help Center to request help in customizing these. In Setup, on the left side of the page you will find a section called "App Setup" (in some instances this is labelled as "Build"). Expand the "Develop" menu. Under Develop, click on "Apex Classes". On top of the page, click on the "Schedule Apex" button. 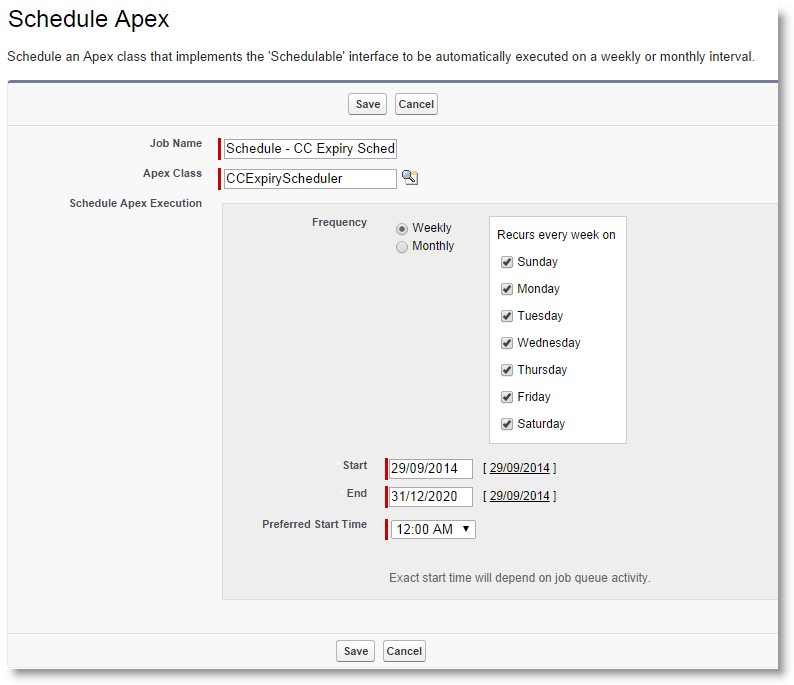 Give the job a name and then select "CCExpiryScheduler" as the Apex Class. For example, you can enter "Schedule - CC Expiry Scheduler" as the Job Name and then select "CCExpiryScheduler" as the Apex Class. Next, select "Weekly" as the Frequency and select all days of the week. Select today's date as the Start Date and select an End Date that is set in the far future (this means that the job will continue to run until the end date is reached). Select your preferred Start Time.